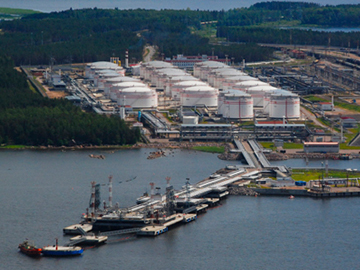 Lukoil-Vysotsk II Tank Farm "Ust-Luga"
The key facility objective involves oil export transit. 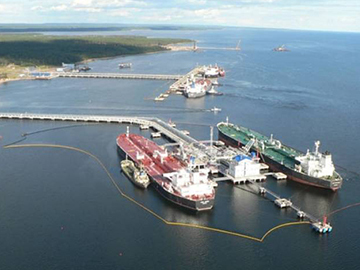 The main asset is a maritime oil terminal in Vysotsk. 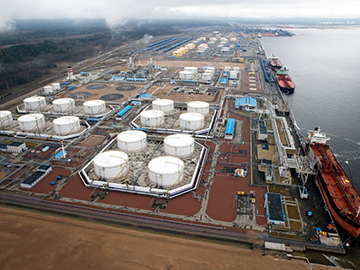 The distribution transhipment facility Vysotsk LUKOIL 2, commissioned in 2004, is located in the Leningrad region, in Vyborg Bay. 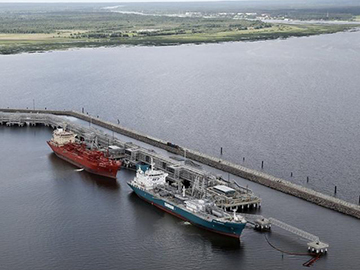 The terminal serves petroleum reception by pipe, rail, or sea transport and its transhipment to 80k-t tankers for further export. 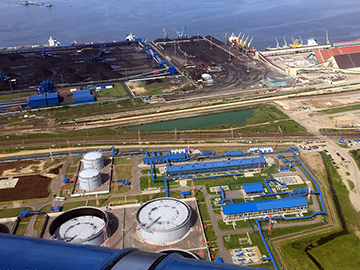 The facility’s throughput capacity exceeds 12 mtpa by rail, and 3 mtpa from the Primorsk-Vysotsk pipeline commissioned in late 2015. 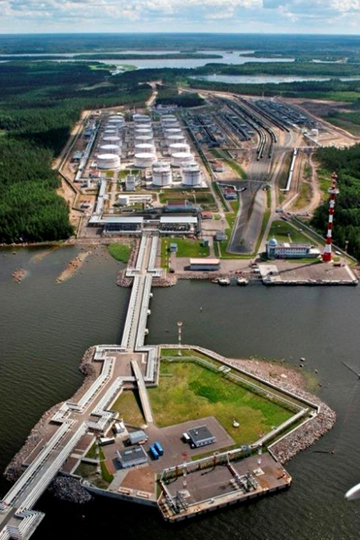 Construction of the facility’s offshore component involved the creation of an artificial water zone, a 40-mile navigational route, three gantries, and a 100m dam. 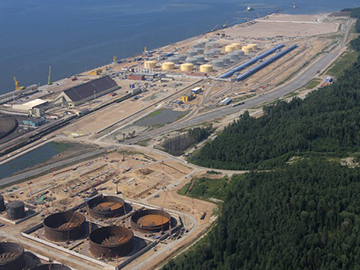 In the context of terminal design engineering, a special focus was placed on environmental safety. 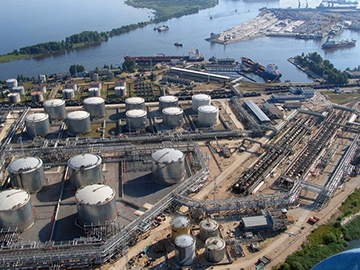 It is primarily associated with glass-in-glass oil and petroleum storage tanks, which have double walls preventing petroleum leakage. Each reservoir has a duck pond protecting soil and groundwater from pollution.